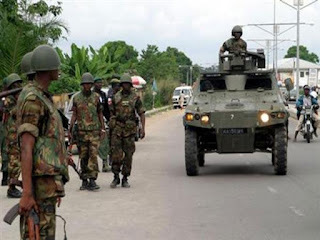 THERE are indications that notorious kidnapper and militant leader, Don Waney, who was fingered in the recent killings in Omoku, Ogba/Egbema/Ndoni Local Government Area has been killed in a joint operation by operatives of the Nigerian Army and the Department of State Services. It was gathered that Waney was killed in a community in Imo State, which shared a border with Rivers State. The Rivers State Director of DSS, Mr. Tosin Ajayi, however, refused to speak on the incident immediately. Efforts made through several phone calls to the Spokesman of 6 Division of the Nigerian Army, Colonel Aminu Iliyasu, to confirm the development was not successful. It was, however, learnt that soldiers and DSS operatives were already bringing Don Waney’s corpse down to Port Harcourt, the Rivers State capital.